This chic and pretty crystal and pearl flower tiara makes a delicate wedding day style statement. 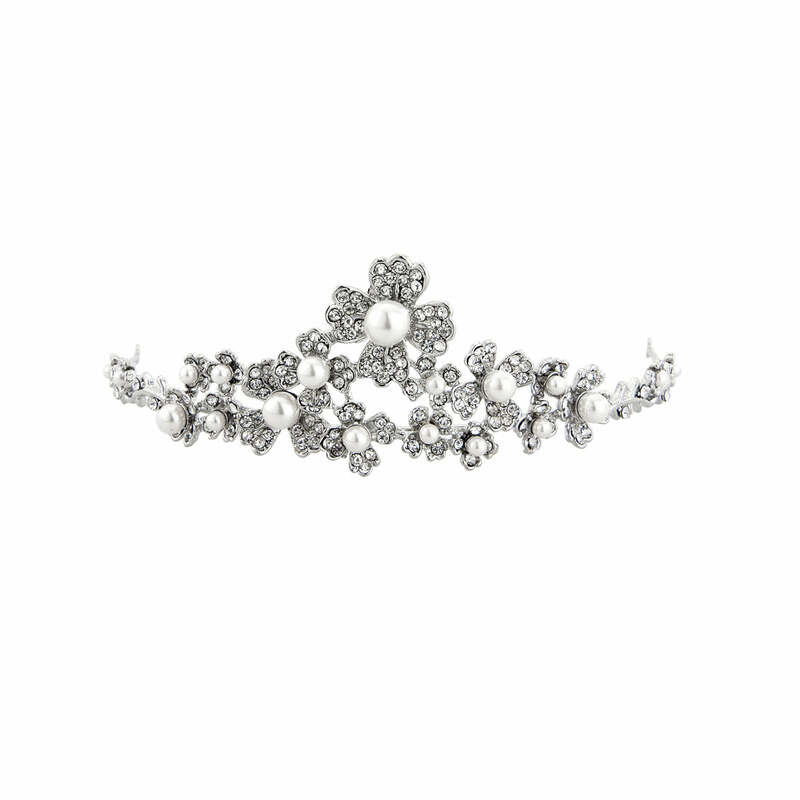 Capturing the elegance and femininity of the 1950s, our Posy of Grace Tiara is simply delightful. Featuring a cluster of petite crystal adorned flowers with ivory pearl accents, this silver tone headpiece has an air of classic Audrey Hepburn at Breakfast at Tiffany's style. Achieve a chic, timeless look by wearing this pretty piece at the crown in front of a high bun or chignon. Or, for a classic modern princess look, adorn a soft half-up hairstyle and place towards the front of the head. 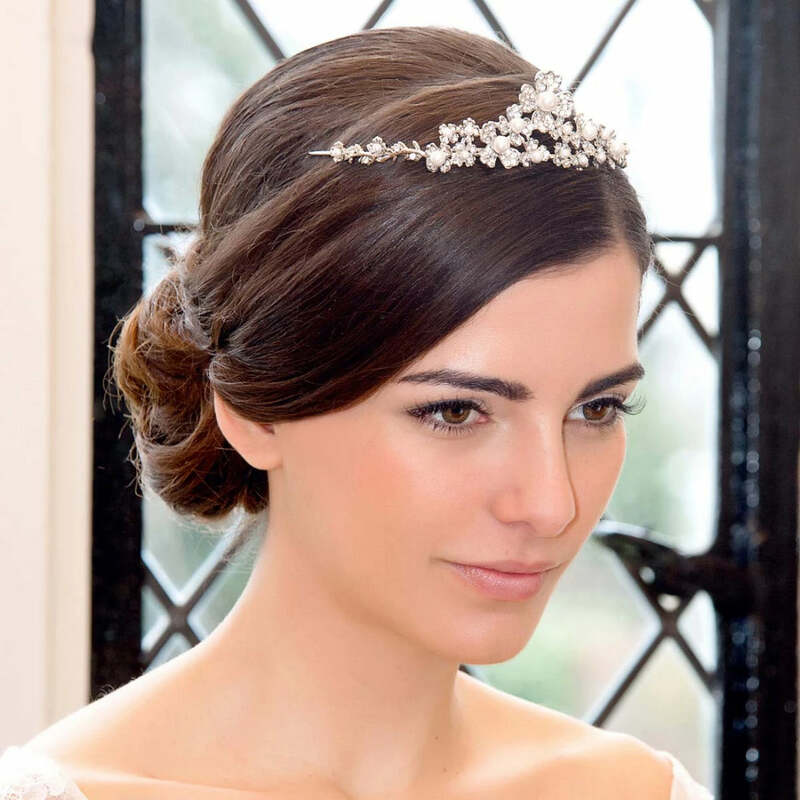 Brides who prefer a subtle vintage look for their special day will adore this dainty crystal & pearl flower tiara. Add the perfect finishing touch with a pair of delicate drop earrings for graceful aisle style.